Le Folli Arie become a reality in 2012. This Italian band is made up of four professional musicians living in Milan that have a huge live experience. They all have worked in various musical projects and share a common love for music from the 70's (Led Zeppelin, Yes, Genesis, Pink Floyd, Lucio Battisti, PFM, Banco del Mutuo Soccorso, Area,...). They have also been influenced by grunge, pop, latin, funk, jazz, heavy metal. The clash and melt of all these musical influences gave birth to Le Folli Arie's unique style. The process of making the band sound whole and unique required 2 years of labor-intensive work. In the first album “Le Folli Arie” - produced by Simone Corazzari and released on 26 January 2015 - the listener is able to live many extremely different atmospheres and emotional episodes and to appreciate a deep sense of coherence throughout the entire listening experience. Defining Le Folli Arie's style is not a simple task: it could be prog music dressed as pop or the exact opposite. Le Folli Arie, Simone Corazzari (lead vocals, guitars, author and producer), Massimiliano Masciari (bass and steel drum), Francesco Meles (drums and percussions) and Marco Antonio Cerioli (keyboards and vocals) trusted the mixing and mastering of their album with Lorenzo Cazzaniga, one of the best italian producer (Claudio Baglioni, Lucio Dalla, Fabrizio De André, Ray Charles, Sting, Mina, Pfm, Pooh, Vasco Rossi,...). Lorenzo is the last and most precious piece of this complex puzzle. 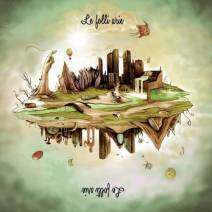 During the last three years Le Folli Arie have been promoting the album through a long tour, and radio & TV interviews, mainly in Italy. They have also issued three videos in Italian and two in English. Their online and offline fans are constantly increasing. Several positive reviews have been published in Italy as well as abroad. In a world dominated by media where the key word is appearance, Le Folli Arie take a brave and anacronistic choice: you will be able to see them only during their live shows. There won’t be any official shooting sessions’ photos, they will not appear neither in their video clips nor on their cd booklet, promotional posters and so on... They would rather release written interviews or be interviewed on the phone whenever that is feasible. The utopian point behind this choice is to communicate with their fans just through their artistic means, avoiding any other interference as much as possible. Making their own way through echoes of Jeff Buckley, Led Zeppelin, Pink Floyd, Genesis, Yes, Porcupine Tree, Lucio Battisti, PFM (and many others...) Le Folli Arie's first work is a true musical voyage you could easily get lost into, that gently flows with no discrepancies; sounding almost 'concept'! Le Folli Arie is on the run!